A lovely recipe for all those foraged jewels of goodness. 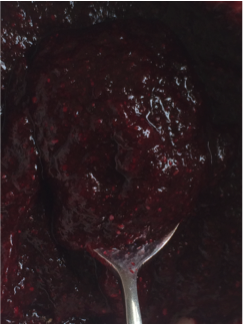 There is an abundance of fruits right and this quick, easy sugar free jam is one of the tastiest I have tasted. 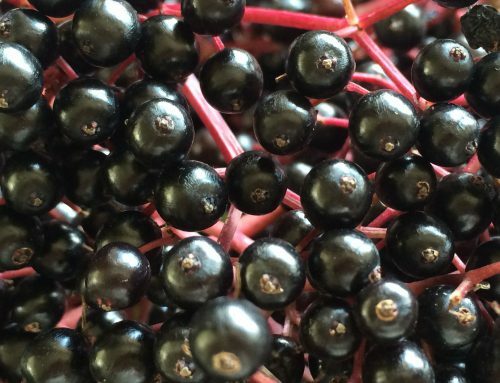 I use elderberries & blackberries with a little apple. 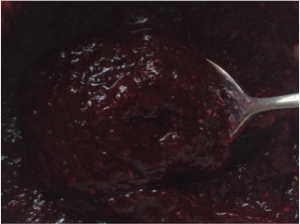 This berry jam is full of immune boosting properties, antioxidants and vitamin C, with the apples aiding digestion, the magical medicinal benefits of the honey and the chia seeds containing lots of OMEGA 3 and minerals. Pop the fruit in a pan with the juice of a lemon and gently stew until it reaches a dry, pulpy consistency. 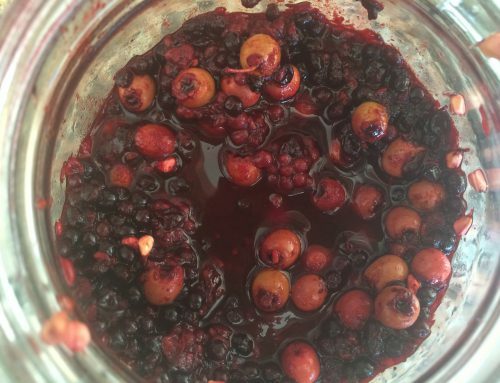 Because of pips and seeds in the elderberries and blackberries, I push the pulp through a sieve but if your fruit is seedless then there is no need. 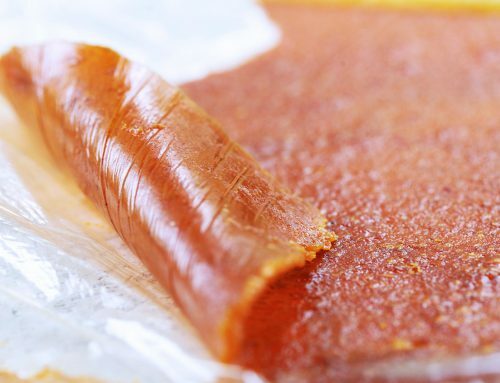 Stir in 75g of honey and let it cool a little before stirring in the Chia seeds, I’m guessing at a couple of heaped tablespoons of seeds but this will depend on many things… how thick your pulp is and how thick you like your jam. Keep your jam in the fridge. Your jam won’t keep for a long time but saying that it never lasts very long in our house. Which gives lots of opportunities to experiment and make new batches throughout the season.